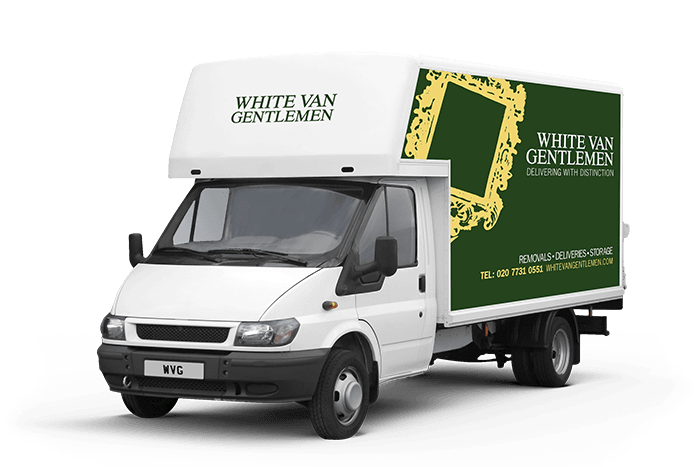 Your next Kensington delivery company should be one that really respects your delivery items, and you won’t find a more respectful delivery company in Kensington than White Van Gentlemen. Whatever you need, we’ll make sure that you get the absolute highest possible quality of service, no matter what or where you want it delivered. Every one of our professional logistics operatives is trained to make sure that your delivery goes without a hitch. We’re always willing to do that little bit extra that means your delivery is an effortless one for you. And if you’re delivering commercially, just think about what such polite and courteous drivers and porters will do for your business’ reputation. Remember, how you deliver is just as important to your customers as what you deliver. We like to think we’re a clear head and shoulders above other Kensington delivery companies. Your items are the most important thing about any delivery, and getting them there on time and with no fuss to you is what we do best. Just call our Kensington deliveries quote line for a free, no obligation quote from one of our specialist delivery teams on 0207 731 0551. Alternatively, just use our quick enquiry service, and we’ll get right back to you whenever you want. Deliveries, removals, office moves and storage options across Kensington are what our professional, personable team does best. We’re totally dedicated to making sure you’re happy every step of the way, and we’re always ready to go the extra mile to make you one of our hundreds of satisfied customers in the Kensington area. Make sure your delivery and transport logistics needs are in the hands of one of the most trusted companies in London, and call today.